Gaming these days has evolved a revolution in the hardware market that has led PC manufacturers to make extreme technologies available for consumers. With days new extreme CPU and GPUs are getting launched in the market. To break through the old rules, overclocking has been quite common for all types of consumers. However, the stability becomes a concern after overclocking. 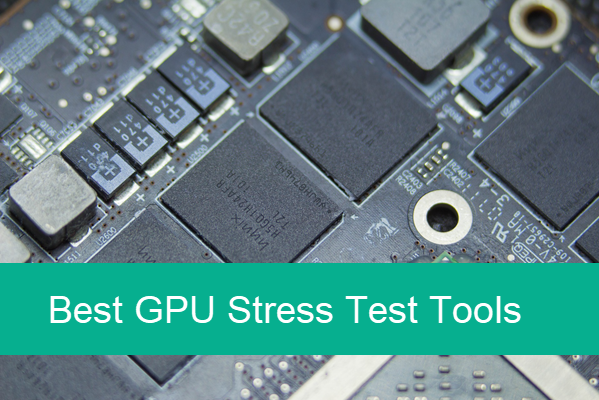 In this tutorial, we are going to introduce best 5 GPU stress test tools after explaining why you would need them. We know that gaming and overclocking is quite contemporary to each other. So, both the CPU and GPU manufacturers do give the option of overclocking on to their own products. Consumers on the other hand do use this feature to make their PCs as fast as possible. However, unknowingly sometimes we tend to overuse the feature and tend to damage it. For gaming performance, GPUs play a very crucial role, as because due to the graphics only does the ambience of the game feels heavenly. So, naturally you need your GPU to perform well to give you the best results. And for this we overclock them to enhance the graphics performance of our PC. Sometimes too much of overclocking leads to overheating, and there are chances that the VRAM memory might get totally damaged. Unlike other components of your PC, like if your memory fails or be it the RAM or even the GPU’s Memory, your system will automatically reboot itself or sometimes get stuck at the BIOS and even sometimes display the Blue Screen of Death, which seems to be the nightmare of all kinds of problems. Note: When the problems happen to you, it is very possible that you would lose some important files. In that case, you’re suggested try iReparo Data Recovery to get back your lost data as soon as possible. Therefore, with immense importance of the GPU to the system, taking care of it seems utmost important. In order to check if your GPU’s memory is faulty or not, it is necessary to perform a stress test on the GPU’s memory or VRAM quickly and thoroughly! The results will help you to get a better understanding of it that will in turn help you in judging the performance of your GPU in future. If you are onto overclocking, keep in mind that your motherboard supports it or not and keep your PC cool enough by installing proper quantity of fans so that after overclocking the PC does not get too much overheated. We have enlisted five best GPU Stress Test Software for your PC. As the name suggests, this software is meant for running a detailed stress test on your PC’s GPU to get a report on how it is actually performing. Video Memory Stress Test is a small application tool which is free for home use only and it is a paid service for commercial purposes. The software is designed specifically to test the VRAM of your PC’s graphics card. Quite similar to Memtest86+, this software only reads and writes the data to each part of the VRAM to run the stress test and checks for any errors occurred. This test allows you to completely test your VRAM which accessible to DirectX. This seems to be the best way to check the stability of your graphics card after overclocking it. The only limitation to the free software is that it only offers up to 40 free tests. OCCT is another stability checking tool for graphics cards which is completely free for personal use. The software has 4 built-in tests aiming for testing your CPU, GPU and even your Power supply. So, with one software you can basically check out your CPU’s horsepower and compare it, check your graphics card and even do a quick check up of your power supply as well. This kind of software proves much beneficial especially when you try overclocking your CPU or GPU and after doing so, check out the stability of both of them or any single one. OCCT can also monitor your PC’s temperatures, voltage and even the fan speed. The software can also check system constants including CPU Usage, Memory Usage and FPS (only if test is done in 3d). OCCT has both free and premium versions. As the name suggests, GpuMemTest is a software for anyone who wants to verify that their graphics card is working correctly or not. GpuMemTest seems a boon to NVIDIA GPU over clockers, the software is only compatible with NVIDIA graphics cards only. If you are one of them then you can quickly acquire the highest stable memory frequency by testing the GPU repeatedly. It is recommended to limit the GPU memory frequency up to 90% of the highest stable frequency. GpuMemTest is not at all made for overclocking on AMD GPUs, and if you do so, it might fail to detect the errors and eventually damage to GPU. GpuMemTest is only suitable for CUDA and OpenCL programmers because to have confidence with your hardware is necessary to work on software related programs. FurMark is another intensive testing software based on OpenGL benchmark which uses fur rendering algorithms. These algorithms help you to measure the performance of your graphics card. Fur rendering comes handy especially when your GPU is subjected to overclocking. This type of testing has especially been made adapting to the overheating issue of the GPU. So, FurMark proves to be the perfect stability and GPU stress test tool (also called as GPU burner) for your graphics card. GpuTest is a cross-platform software i.e. it can run on Windows, Linux and even on Max OS X. You can run both the GPU stress test and OpenGL benchmark using this software. GpuTest comes equipped with several kinds of GPU tests including some of the most popular ones from Windows ‘world (even FurMark or TessMark). With every update of this software tool, the amount of GPU tests offered by the software grows rapidly. So, here are all the software that help you run GPU stress test to analyze your GPU completely when you have overclocked it. Each of the five mentioned above are unique on their own ways, and as most of them are free ones and the premium ones include trail version as well, you can download each one and check it out with your PC’s GPU. A few tools are inclined towards particular GPUs by NVIDIA or AMD, that means for your personal GPU, you have to test the software thoroughly at first to check out the compatibility. Then you can run your actual stress tests or OpenGL benchmarks and others to check your performance of your graphics card. The last thing you should keep in mind that if you overclock your GPU, you should do it up to a limit and regularly check the stable point until which you can enhance your GPU’s performance. Generally, at about 90 per cent mark you get your GPU’s highest speed frequency which is lot safer to run it at every day. Now you are free to overclock or tune your GPU and actually enhance your day to day performance and run your tests and benchmarks to analyze them. Happy Overclocking, and share with us your experience below.